Google on Thursday announced that its Chrome browser will launch in the App Store for iPhone and iPad, as well as a native iOS application connected to the Google Drive service. The two new iOS applications were announced during presentations at the Google I/O conference. Both Google Chrome and Google Drive are set to launch at some point today in the App Store. The Chrome browser for iOS will feature the "incognito" private browsing mode as well as syncing with the desktop version of the software, according to Engadget. 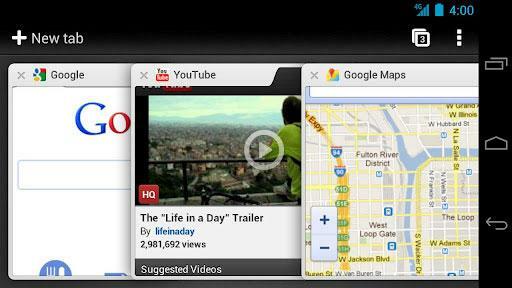 It also features Google's own unique tabbed browsing interface. Word first surfaced in May that Google was working on a Chrome Web browser for iOS to compete with Apple's own built-in Safari browser. Third-party browsers first began appearing on the Apple-controlled iOS App Store in early 2009. Prior to that, browsers that would rival Apple's own Safari were rejected from the App Store. Google also announced this week that Chrome will become the default browser for Android in its next major release, 4.1 Jelly Bean. Currently, the Android mobile operating system ships with a generic browser. Also set to launch in the App Store on Thursday is an official application for Google Drive, the search giant's cloud storage service. The company also announced that in just 10 weeks of availability, Google Drive now has more than 10 million users.